The Adina Pink 11-inch tall Women's western boot features a feminine ruby leather upper that is slightly distressed for a vintage feel and white piping along the scalloped collar. 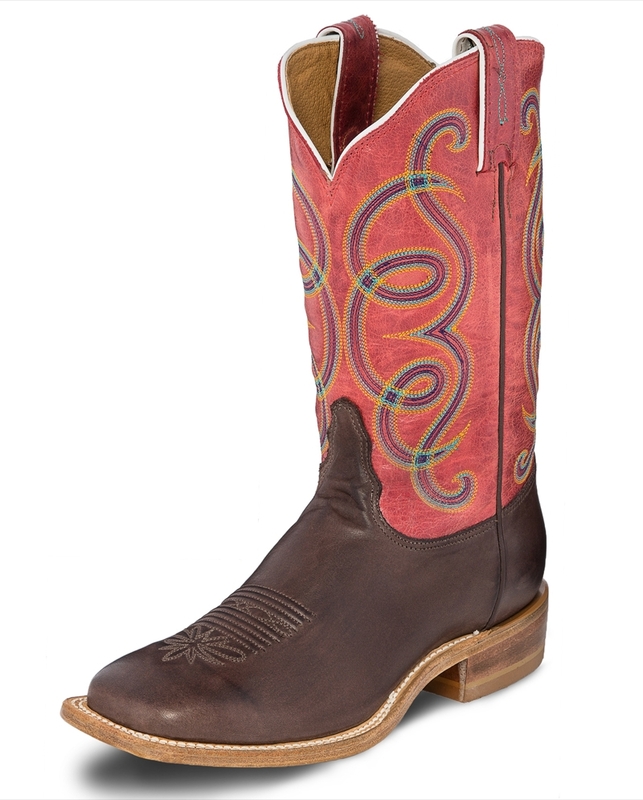 This unique cowgirl boot has bold blue, orange and purple stitching along the upper and its chocolate brown square toe vamp is crafted for comfort. The cushioned insole allows for a relaxed fit in and out of the saddle and the double stitch welt guarantees durability for an extended lifetime of wear. This style is proudly Handcrafted in the USA with imported materials.